One of the biggest trends of the current web design era is flat design, and Metro—Microsoft’s design language for Windows, Xbox and Office—is the most notable interpretation of this. If you’re looking to update your site with a fresh, clean design, these ten premium website templates will do just the thing. STYLISH is a beautiful Metro-inspired template that combines solid colours and light typography into an awesome design. Responsive and ready for Retina displays, STYLISH is really versatile and the perfect fit for any type of site, from a personal portfolio to a business blog. STYLISH is available both as a standalone site template and a WordPress version, starting at just $15. Argo is a stunning Metro-inspired, responsive site template that’s perfect for portfolio sites. Ready for users with larger or small displays, including Retina Display-standard resolutions, Argo is available in three fantastic colour schemes: green, orange and violet. 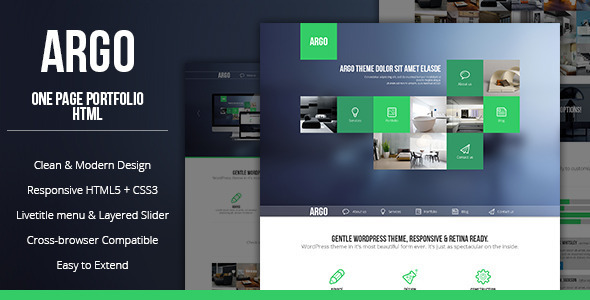 You can pick up Argo as a standalone site template or ready for WordPress from $14. If you’re looking to give your e-commerce site a Metro flair, Flatro is the way to go. 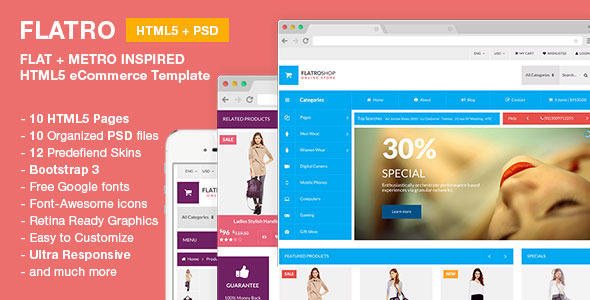 With ten fully-designed page templates included with their original Photoshop files, Flatro’s really easy to customize to your liking. 2012 is a really nice portfolio design that’s great for photographers and other creative professionals. Developed with responsive HTML5 and CSS3, 2012 includes a whole host of features to showcase your work such as a full-screen image gallery and a responsive multi-touch-optimised slider. Blocks is a Metro-inspired Drupal theme that takes advantage of a beautiful combination of flat, solid colours, big images and light typography. Built with Drupal in mind, Blocks includes a wide variety of settings to customize the theme exactly to the specifications of your Drupal site, with eight standard colour schemes, a touch-ready slider and a ton of widgets included. 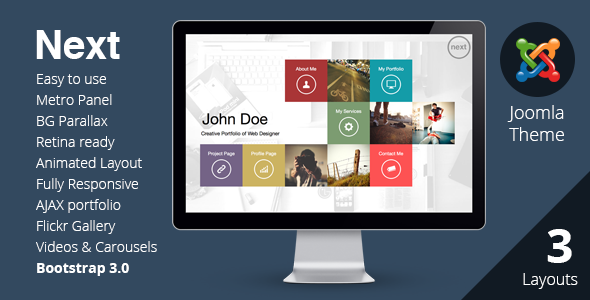 NEXT is an easy-to-use Joomla theme that’s fantastic for personal and small business portfolios. Designed with full-support for high resolutions and responsive displays, NEXT is perfect for mobile audiences with full, tested support for iOS 7 and additional support for Android and Windows Phone. NEXT also includes the ShineTheme Page Builder, a simple way to design Joomla pages with a drag-and-drop interface. 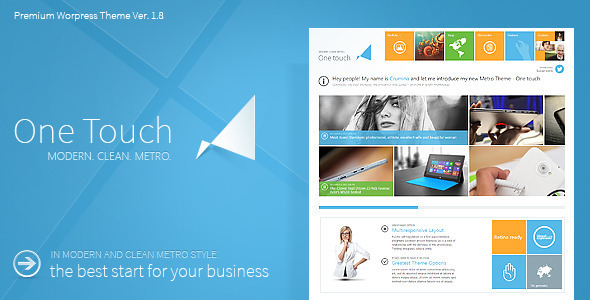 One Touch is a great WordPress theme that makes beautiful use of Metro’s hallmark square boxes with clean, flat icons and text. As a WordPress theme, One Touch also includes a bunch of useful shortcodes, multiple page templates and a versatile theme options tool to fully take advantage of the theme and its features. If you’re using BuddyPress on WordPress and have a love of the Metro style, this theme is for you! 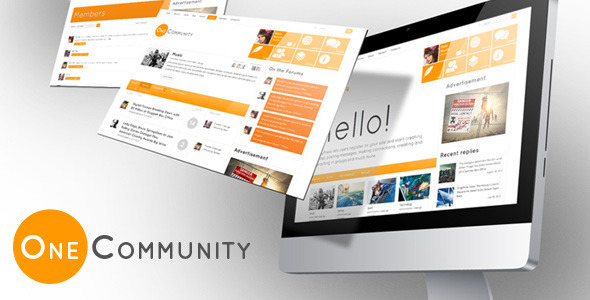 OneCommunity allows you to create a social site complete with Metro’s beautiful, big typography and other design styles. The theme also includes a bunch of useful BuddyPress shortcodes, integrated Ajax Search Pro plugin and WooCommerce support. Modern Metro is a very literal interpretation of the Metro design language with an almost-identical replication of the Windows 8 home screen. This WordPress theme is highly customizable through options available in an admin panel designed in the Metro style itself. Modern Metro also includes a bunch of custom shortcodes, over a thousand icons and a unique charts system. Persona is a clean, simple portfolio template with responsive, mobile support for iOS, Android and Windows Phone. Persona is a great choice for showing off your work and includes five preset colour schemes that only begin to show off the customizability of this template. You can find more great Metro-inspired site templates at ThemeForest.